Get alerted when your employees or managers hit a set number of hours. You can select how many hours need to pass before the notification. 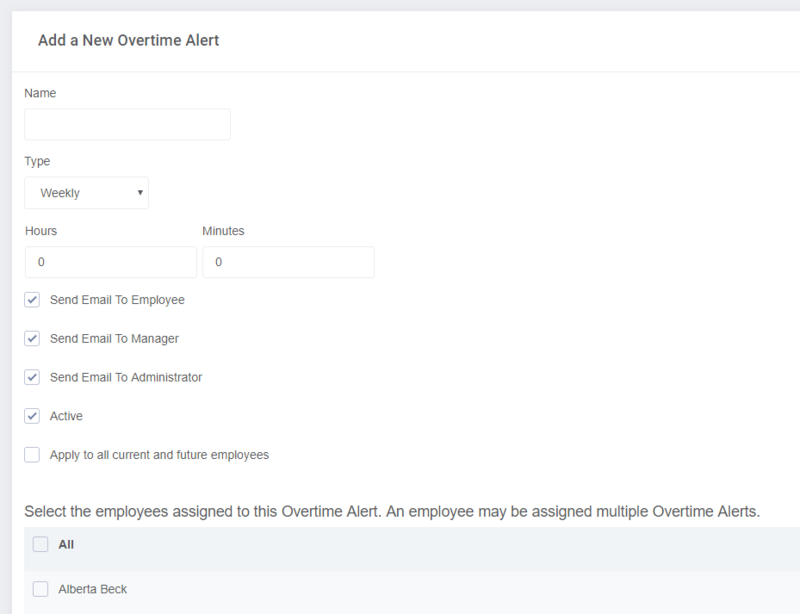 Overtime alerts will allow you to email notify your employees, managers, and administrators when they hit a set number of hours. To use this feature please follow the steps below. Sign into your Buddy Punch account as an administrator. 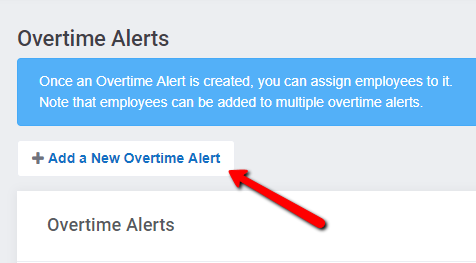 Go to Settings --> Overtime Alerts. 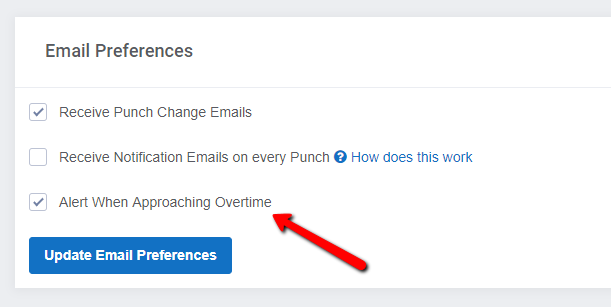 Then click on "+Add A New Overtime Alert." OT alerts can be based on daily time or weekly time. You can have the alert go to just the employee, or any managers assigned to the employee, and any administrators on the account. Active alerts will trigger when the hours are hit. Inactive alerts will not produce any notifications. Alerts are based on closed and current shifts. If an employee has an open shift and the alert is hit, a notification will go out.